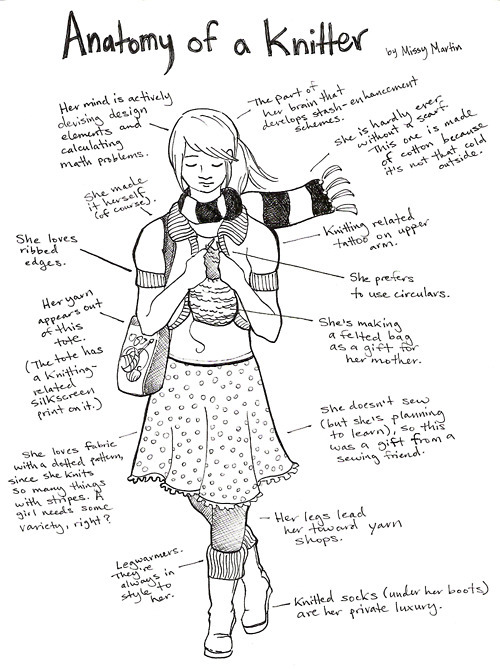 I love this image (it’s a perennial favorite on social media sites) and since scarf weather is starting, I thought that I would share it with all of you. I’d add to the list below, of course, and say that a knitter like me always needs something linen stitched on her body, is calculating how cheap she can get a pair of new boots to show off her new handknit boot toppers (yarn is always worth splurging on, but everything else must be bought on sale! ), and is knitting a pair of socks because those are easy grab-and-go knitting projects.